This specialist meeting (workshop) is co-funded by the National Science Foundation (NSF) project award #1416509, IBSS: Spatiotemporal Modeling of Human Dynamics Across Social Media and Social Networks and award #1634641, IMEE: Integrated Stage-Based Evacuation with Social Perception Analysis and Dynamic Population Estimation .The goal of this workshop is to foster the multidisciplinary collaboration in related research disciplines, including geography, linguistics, computer science, political science, public health, civil engineering, and communication. 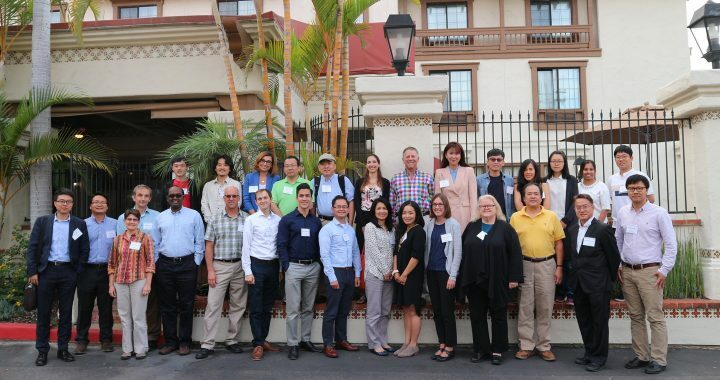 The two-day workshop (August 15 and August 16, 2017), organized by the Center for Human Dynamics in the Mobile Age (HDMA) at San Diego State University, brought together over 30 specialists drawn from many disciplines. The workshop assessed the current state of the art technologies and tools for studying social media analytics and decision support systems, identify and prioritize a research agenda, and begin the development of a research community of collaborating scholars working on these Big Data, social media, and decision support systems (DSS) issues. 1. What theoretical models can facilitate prediction of public health crisis information diffusion and response?2. What are some innovative ways that health behavior theories have been applied to understanding the influence of social media on human behavioral health and health outcomes? 3. What critical information are potentially obtainable through crowd sourcing during crisis management, and what is an efficient process to produce insight and use this information?4. How to effectively consider the uncertainty of evacuation demand and deal with the trade off between efficiency and robustness in the evacuation model?5. Regarding user interface design and functionalities on a web-GIS based decision support system for crisis management, what are key elements that can be beneficial to stakeholders? Mr. Michael Robles (San Diego County OES staff). Dr. Hilary McMillan (Associate Professor, Geography, SDSU).